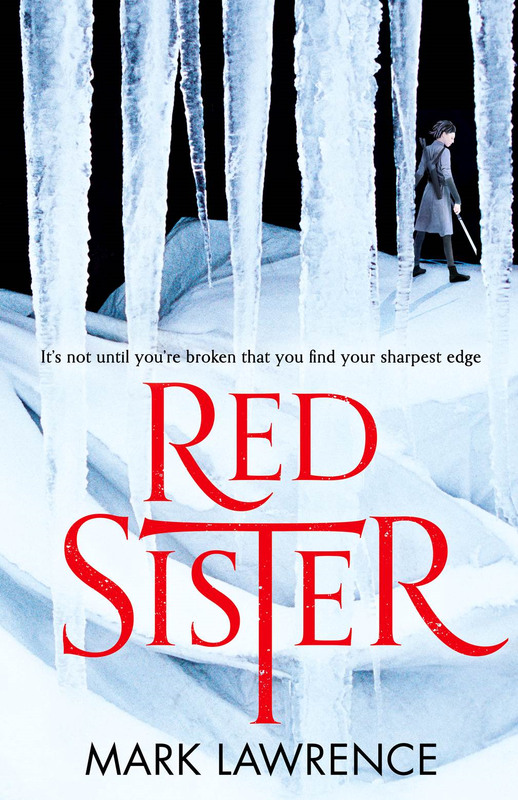 Mark Lawrence: Red Sister - The UK cover! Voyager thought long and hard about their cover for Red Sister in the UK. It's a tricky business. They wanted to signal that this is a whole new offering, not just another installment of the world and stories begun in The Broken Empire and The Red Queen's War, They wanted to invite in new readers who were perhaps put off by the piles of corpses &/or forest of blades emblazoning the front of my previous work. 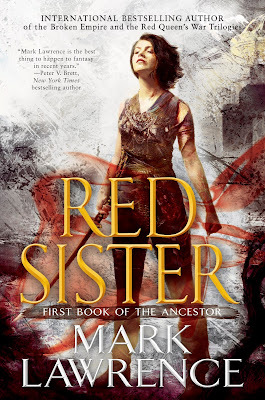 As part of that process of signaling a change they moved from cover artist Jason Chan (who has produced six excellent covers for me, including two which won awards) to cover designer Heike Schuessler. The motivation here is the same as when audiobook narrators are changed when moving from Jorg to Jalan. In no way dissatisfaction with the previous performance, just a need to mark the arrival of a new thing. And this is the result. Atmospheric, classy, simple! And for comparison, the US cover. Did I mention about pre-ordering? I forget. Oh man! Nice! Looks like the opposite of Dune! Wonder which cover comes to India! Nice. Think I prefer the UK one...seems at first appearance to be less about the MC, and more about that sharp edge? But not 'sharp edge' as in 'sword'. Great stuff! I think my first twitter interaction with you was about the cover art of Prince of Thorns (the bookshop person said "don't let it put you off") - so I think this is a great move. I'm really looking forward to this book - the early reviews have been making me twitchy in anticipation. Any news on who's narrating the audiobook version?